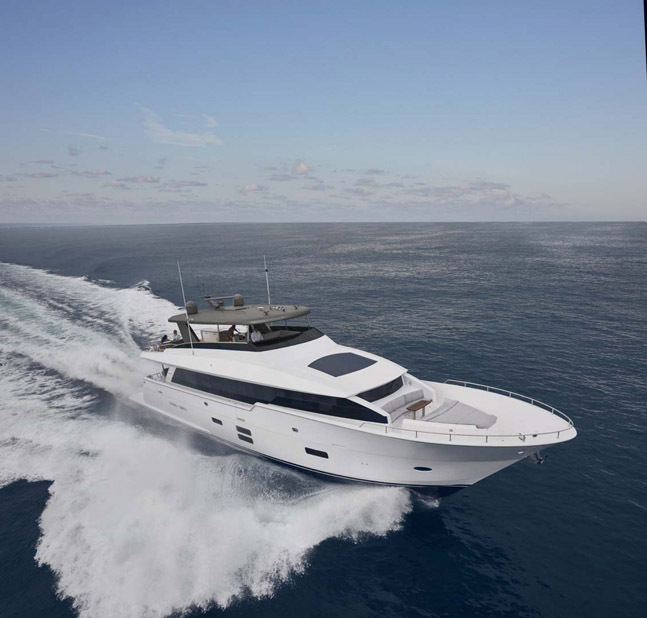 The Hatteras team spent an extraordinary amount of time perfecting the two most important places on the boat for any convertible sportfish owner - the flybridge and the cockpit. You may as well just buy a cruising yacht and call it a day if these areas aren't up to par. 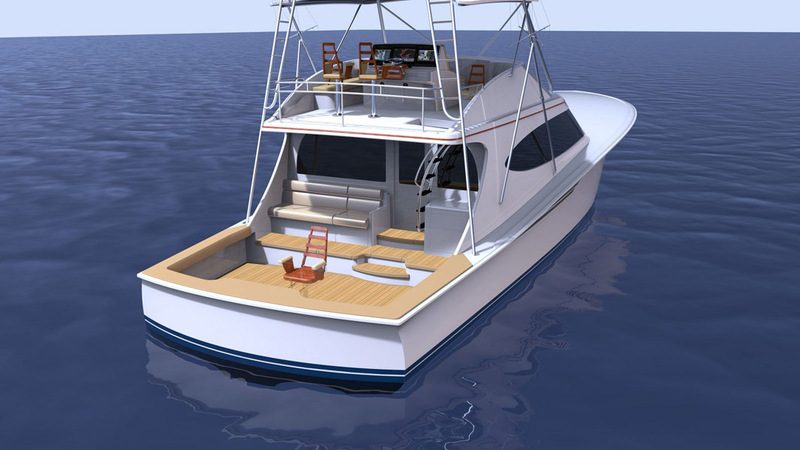 The cockpit on the GT65 Carolina is 194 square feet of fishing bliss. Large enough for multiple crew members to move around with ease during the heat of the fight, the cockpit on the GT65 is actually 20 feet larger in volume than the leading competitor's 66 Convertible. For your guests on board watching the action, the air-conditioned and shaded mezzanine is more comfortable than sitting on your living room sofa. 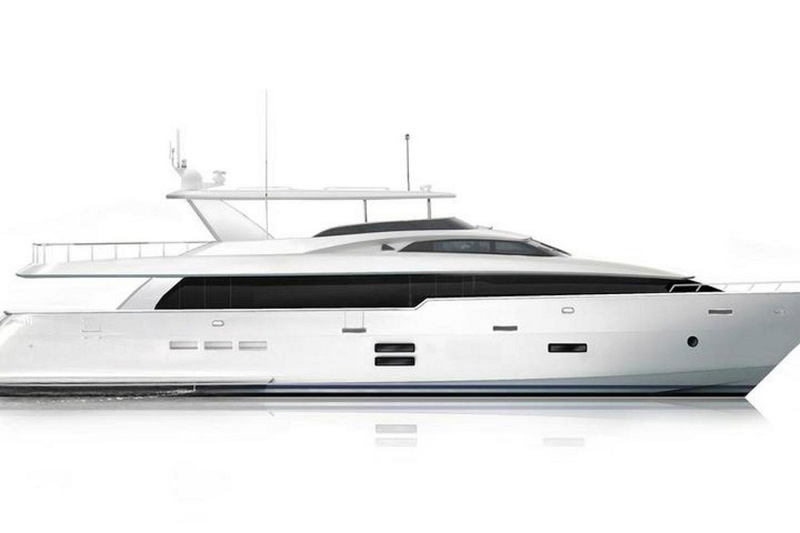 For the captain backing down on that grander marlin, the flybridge and helm needed to be flawless. The upper helm on the bridge is ergonomically designed that puts all controls within reach so the days of straining your back to reach a button that was placed without a plan are over. 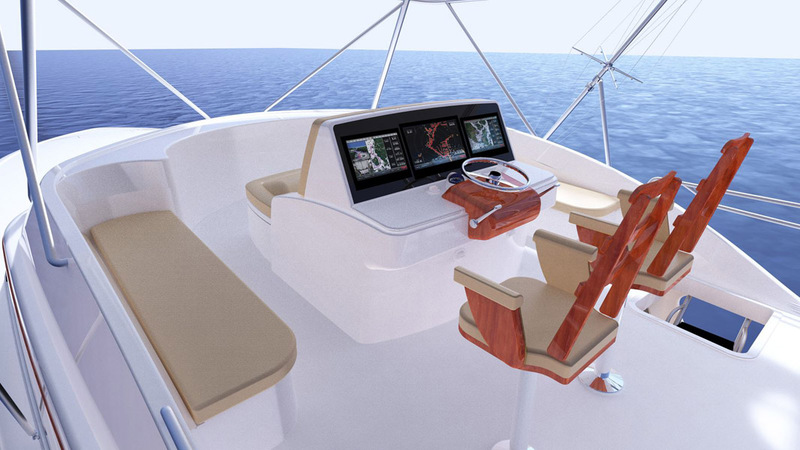 All of the latest in electronics and navigation technology are housed in a non-glare, flush-mounted, "glass-cockpit" helm station. The salon of the new Hatteras GT65 Carolina is comfortable, functional, and is a perfect complement to the outside amenities on the boat that focus on fishing. If you're fishing a tournament, your crew will need a place to re-charge for the following day. And if you're out fishing with family and friends, the salon and connected galley on the GT65 offer an oasis from the heat and sun. There is a flat screen television that raises out of the cabinet and can be seen from the large J-shaped sofa, from the dinette that's adjacent to the galley, and the 3 bar stools at the kitchen countertop. There are large windows that line both sides that let in a lot of light and provide some fantastic views. 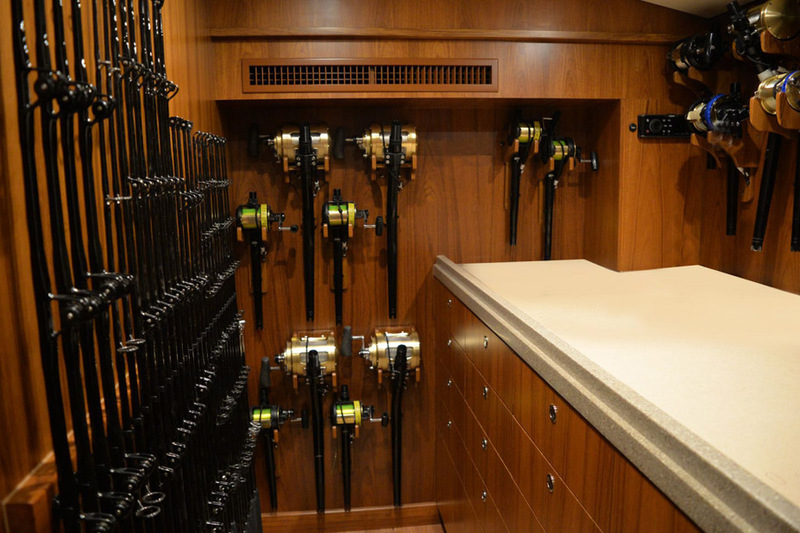 High-end appliances and lots of storage, including a massive rod storage locker, mean you can be organized for those extended fishing trips. 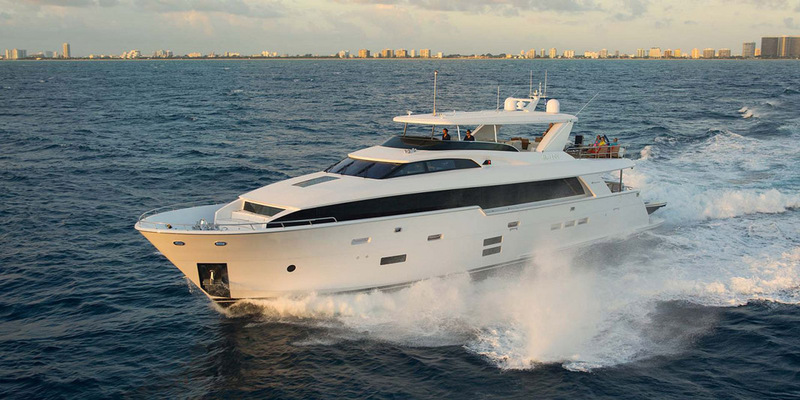 Moving below deck, the Hatteras GT65 Carolina includes the popular 4-stateroom, 3-head layout where the master suite is placed amidships. The luxurious VIP cabin is placed forward but is spectacular and also has its own en suite head like the master. Two additional staterooms have over/under bunk beds that will sleep additional guests or crew that also share a head and shower. 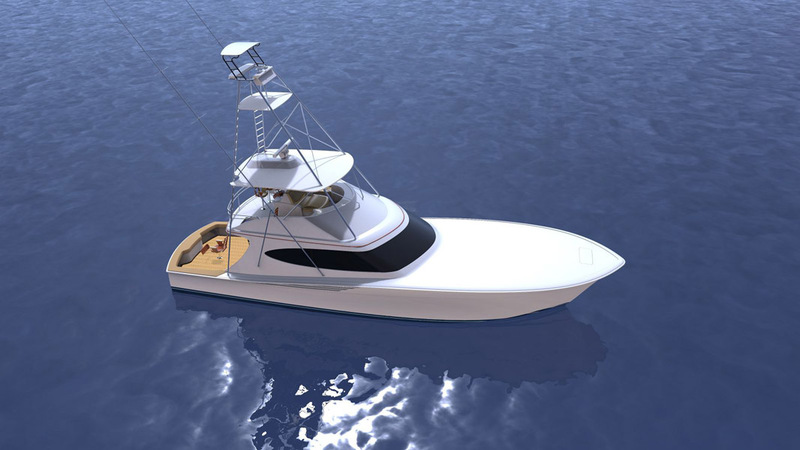 While all of the new features outside and in on the GT65 Carolina are exciting, the real advantage this sportfish has lies in the new hull and tunnel design. 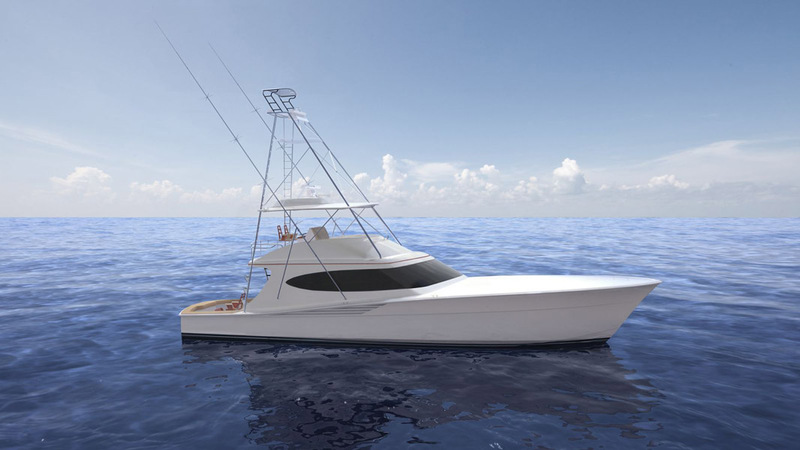 The Hatteras team utilized a high-tech Computational Fluid Dynamics (CFD) analysis to optimize the hull form and ensure a superior level of performance, maneuverability, and seaworthiness. Also an industry first, the hull will be infused to the stringer system to make one single part which will result in reduced weight and an increase in hull strength. 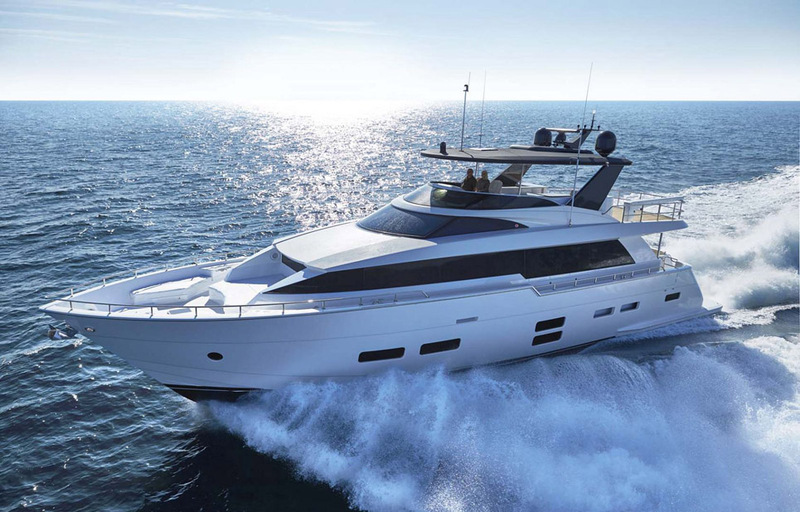 With a standard power package of twin CAT C-32A 1,825hp diesel engines (other larger options available if desired) and a new engine layout room that makes service a breeze, there really is no reason why anyone should look elsewhere for a 60'+ convertible sportfish than the new GT65 Carolina. For more information on this new model, contact Scott White at (609) 780-0309.